Vanessa Miller, a tech obsessed mother of two, account product manager and business development specialist for Best Babie Inc. Our mission is to improve the lives and futures for children by distributing and bringing to market the best products through advanced technologies. Vanessa currently manages the Top baby and kid brands for national distribution. She is also responsible for acquiring the markets top STEM Robots and bringing these products to mass market; further influencing our educational markets and this emerging segment to grow. 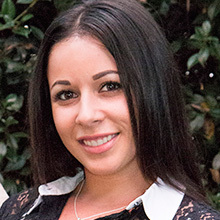 With a degree in Merchandise Product Development and extensive back ground in sales, Vanessa is a true expert in today’s competitive market and able to forecast the future of baby, kids, and electronic products. As a working mom, she found the need to find the best products for her family that made her feel safe, daily activities easier, and having a great user experience. Her goal is to identify these superior products in the marketplace and get them in the hands of mom and dad.